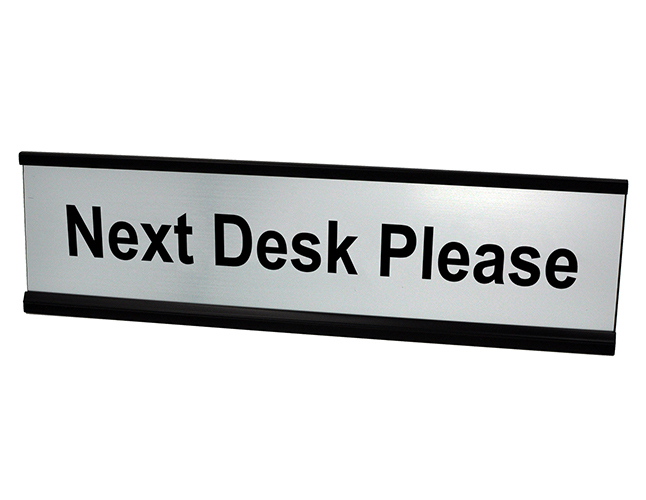 Clearly inform customers where to go with this engraved "next desk please" desk plate. Does your place of business get hectic? Help keep customer traffic organized by letting each customer know which desk or post is open for service with this handy "next desk please" desk plate. As soon as a customer sees this engraved plate, they will avoid any confusion and move to the next desk for assistance.